A true physician must be provided with genuine medicines of unimpaired strength, so that he may be able to rely upon their therapeutic powers; he must be able, himself, to judge of their genuineness. Genuineness Medicine, § 264 Organon of Medicine. It was in the year 1944 in Lahore that (Late) Dr. H.K. Gupta a student of Lahore Medical College, and his son Dr. V.P. Gupta, another promising Homoeopath, combined their genius to give to the world something truly original--- Homoeopathic Combinations. 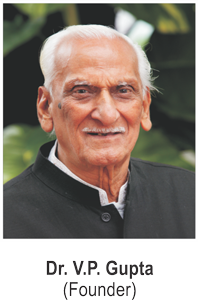 The idea was to empower the Homoeopathic practitioner with ready- to- use homeopathic combinations and help him break free from the shackles of pedantic systems of treatment. Dr. H.K. Gupta was practicing Homoeopathy for years and his grasp of Materia Medica was unchallenged. His practical experience and insight, joined hands with the untiring spirit of innovation, creativity, and knowledge possessed by Dr. V.P. Gupta, and the result was an unending list of Homoeopathic combinations in the form of tablets, syrups, drops, and ointments, that proved to be a big challenge to the contemporary systems of medicine.The story would be incomplete without mention of Dr. Kanchan Gupta, the motherly figure who tirelessly monitored the production and ensured quality was maintained. Each product was clinically tested and validated before it was sold under the banner of Wheezal. As Wheezal continued its journey ahead, two charitable dispensaries were set up in Dehradun. Dr. V.K.C. Phillip and Dr. Sharma pioneered the good work at the dispensaries and gave valuable clinical data that helped in adding many drugs that catered to the need of the hour. Homoeopathy was going through its infancy during this period. It was no easy task to earn the faith of the traditional practitioner and to convince him into absolutely new concepts. Wheezal products successfully fought this test of time through their efficacy and reliability. Within two decades i.e by the year 1964 Wheezal became a household word, as most products became popular throughout the country. To meet this growing demand a modern manufacturing unit was established in Dehradun in the year 1967 prescribed by them. Wheezal entered the international arena during the International Homoeopathic National Congress held at Vigyan Bhawan Delhi in the year 1968. Wheezal also participated and exhibited its quality products in every Homoeopathic Conference hosted by HMAI and all other states Homoeopathic Organizations. This enhanced the awareness of Homoeopathy across the country and in the world. Today we can proudly claim that wherever there is a Homoeopthic Doctor in India, there are Wheezal Products Prescribed by them. Another manufacturing unit was established in Dehradun in the year 1972. This unit brought forth Bio-Chemics, Bio combinations, Triturations, Diskets and Globules, and extended the range of Wheezal Product list. The task of manufacturing Mother Tinctures & Dilutions was taken up at a spacious state of the art manufacturing unit. This enhanced production catered to the ever growing demand of dealers and doctors, and enabled us to keep up our time bound commitments. With this, Wheezal had the widest range of products in the Homoeopathic Industry. As this goes into print, we are proud to state that our latest manufacturing unit at Pharma City set in the year 2010 is doing well and is under the able command and direction of Dr. Simi Gupta. 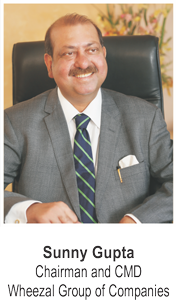 Dr. Simi Gupta also heads the departments of quality control and quality assurance. This GMP-WHO compliant unit encompasses 72000 sq. ft. of working area.The production has multiplied manifold, logistics and supply chains have been further strengthened. The Wheezal flame lit by the forefathers continues to shine. The multifaceted personality of our dynamic (CMD) Sunny Gupta has revolutionized every sphere of the functioning of the company. 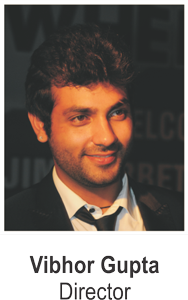 The young spirited entrepreneur Vibhor Gupta (Director) has also devoted himself to the cause of Homoeopathy. The enthusiasm and enterprising spirit of both stalwarts has taken the Company miles ahead. Generations have toiled to keep the torch aloft. 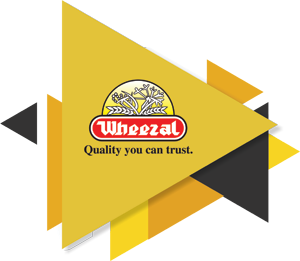 And the Wheezal family promises to live up to the motto : "Quality you can trust".